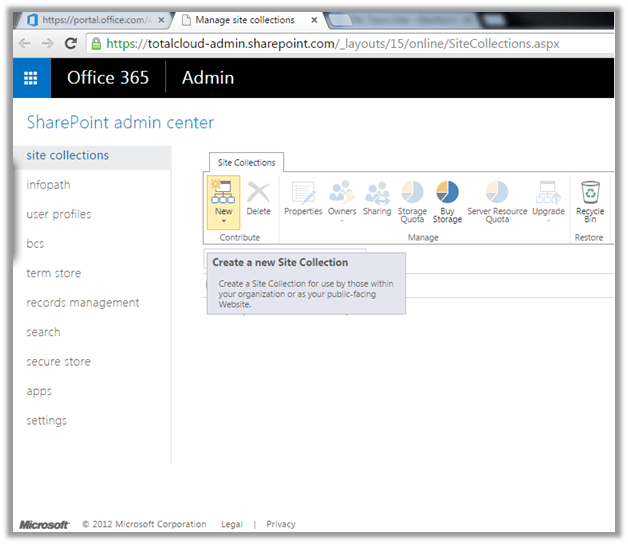 A step-by-step guide to create a new SharePoint Online site collection. 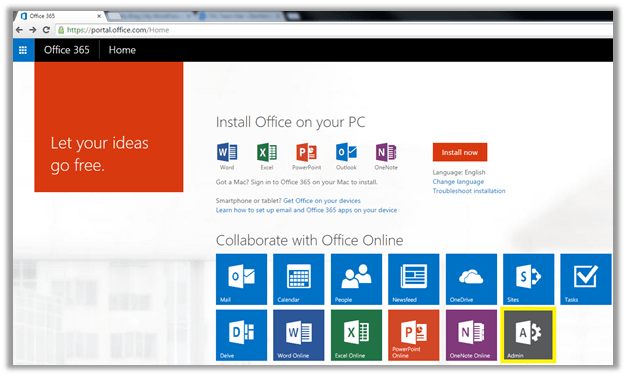 Use your onmicrosoft.com account to login to SharePoint Online Admin site. The login will take you to the Home page. 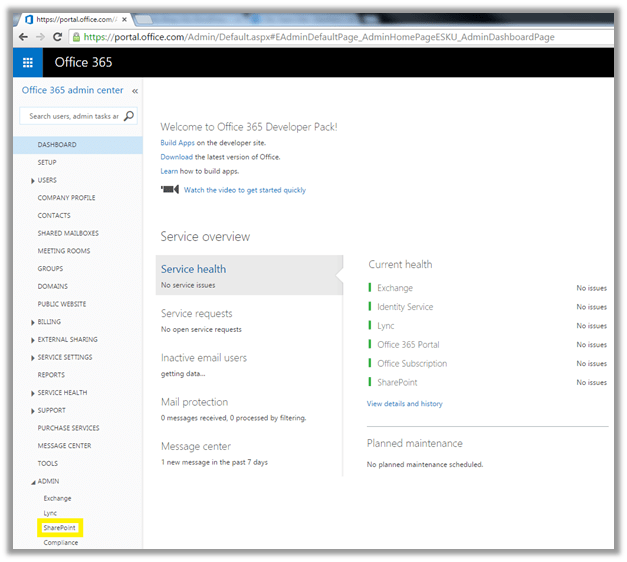 Under Collaborate with Office Online section you will see different option boxes. Click Admin. To create a new site collection, click on New under Site Collections menu. Choose Private site collection option. On new site collection window, provide details for your new site collection. Web site Address: choose web application under which you would like to host your new site. Template select: here you can select the language and the type of template. There are different types of templates available, for now we will select Team Site. Time Zone: Select your preferred time zone. It will impact on your site’s date and time settings. Storage Quota: Select the storage size for your size. It must be in megabytes and between 110 and 15896. Server Resource Quota: It limits the CPU and other resource usage by your site collection. You will have limited resources available, so choose it wisely. We will leave it as it is for now. Click OK to create a new site. Within few seconds your site will be ready and appear in site collections list.